COUNTRY LIVING WITH POWHATAN SCHOOLS! 1824 Square Feet of Living Space For the WHOLE FAMILY to ENJOY! The Spacious Addition Yields NUMEROUS POSSIBILITIES! You Could Turn this Expansive Addition into a MAN CAVE, DEN or LARGE OFFICE! This Bright Kitchen Has Plenty of Counter Space and Storage with a WALK-IN PANTRY! Your Family and Friends Will Love Gathering Around the TWO FIREPLACES! Get Ready for Peaceful Sunsets and Backyard Barbecues on Your Large Back Deck Overlooking YOUR QUIET and PRIVATE BACKYARD! 24' x 20' DETACHED SHED will Handle All of Your Yard Equipment, Toys and Tools! Master Bathroom was JUST REMODELED in 2019! New Exterior Doors, Blinds and Transom Window! Double Insulated and Double Hung Windows Throughout Make This an Energy Efficient Home! 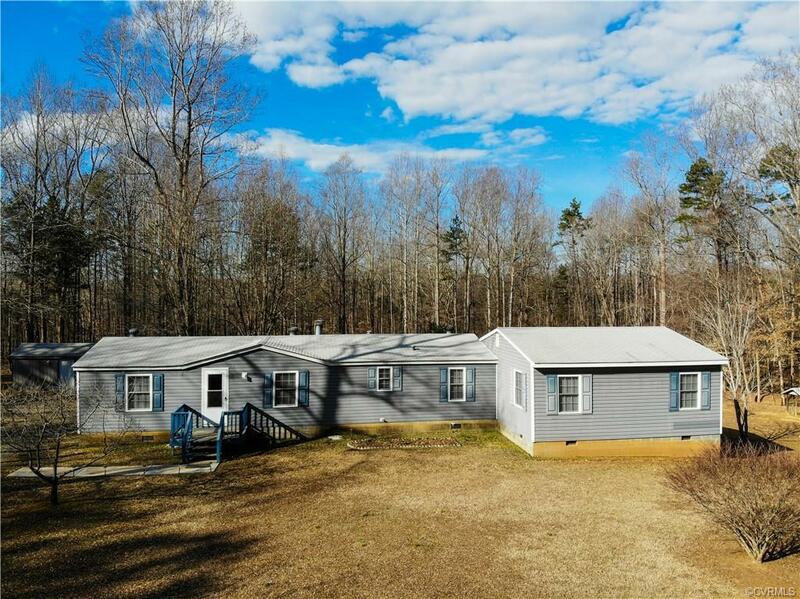 This Country Home is Located Just Minutes from Downtown Powhatan! Make the Decision to Live Near Some of the Best HUNTING Around! All Appliances, Both Sheds, Washer, Dryer, Additional Deep Freezer and Swing-Set Convey with the Property! Do Not Miss THIS AWESOME POWHATAN HOME! Directions: West On Route 60. Take Emmanuel Church Road For 9.2 Miles. Turn Left Onto Gills Rd. Property Will Be On Right In 0.4 Miles.